ZEN (Zostera Experimental Network) is a global partnership of seagrass researchers studying Zostera marina. 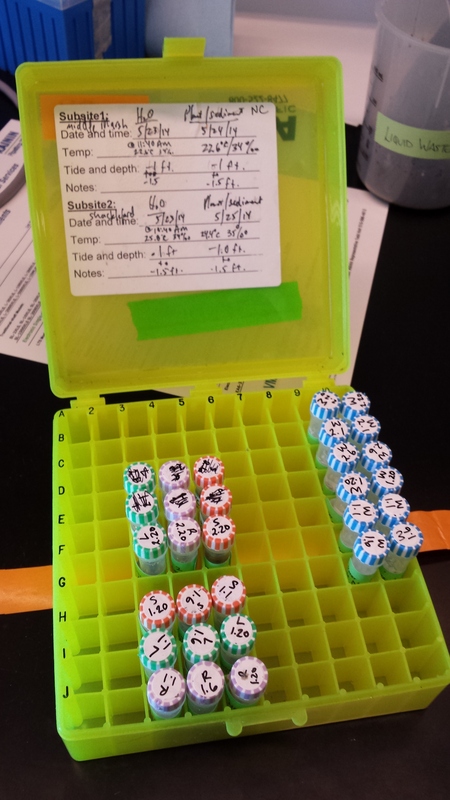 Over the summer and late last spring we sent 24 sampling kits to researchers across the world. Except for a few sites (international sample collection is hard) we’ve received nearly all of the kits with samples intact and we’re well on our way to finishing extracting DNA from each of them. Here’s a map of all of the samples we’ve received so far (it will be updated in real time as we receive more samples). Collection strategies: As with any carefully planned field experiment, things go wrong once you’re out in the field. It seems like some of our collection techniques are harder to carry out than we had originally though. The filtering process is not always clear and it’s often hard to fully submerge roots and leaves in the Zymo storage buffer we provided. Extraction: It turns out that despite its great capacity for sample preservation, the Zymo buffer does not play nicely with our DNA extraction method. We’ve dealt with this by modifying the extraction protocol, but we still get lower yields per sample than we had hoped. Received kits: Nearly all of the kits are back and being extracted!